Grand Ranch Plumbing is now incorporated and renamed Cinco Ranch Plumbing,LLC . We are the same company just a different name!! Custom residential remodeling plumbing company. We have an A+ rating with the Better Business Bureau and numerous satisfied clients. With over 30 years experience we will do the job right. 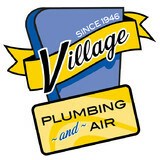 Since 1946 Village Plumbing & Home Services has been entrusted by thousands of Houston residents with their most valuable possession . . . their home. We take this responsibility very seriously. When you schedule service, repairs or equipment installation with Village we protect your investment with some of the strongest guarantees in the industry. From equipment, parts and labor to your complete satisfaction we have you covered. 100% Satisfaction We agree to accept responsibility for your complete satisfaction with the materials we use and workmanship we provid. During the first year, if you are dissatisfied with the performance of the heating or air conditioning equipment, our services, our people or for any reason, we will do whatever it takes to make it right and correct the problem to your satisfaction. Equipment Size Guarantee Village plumbing & Home Services is solely responsible for determining the correct equipment size and installation procedures. The product(s) we install will heat /cool to your satisfaction. “No Surprises” Guarantee Once the work begins, the price quoted for the work being done is the price you pay. Lifetime Installation Materials Warranty All materials needed to install the new equipment are warranted for the life of the equipment for the original owner. This includes things like duct work, sheet metal, water & gas piping, electrical wiring, hangers and more. Air Conditioner “Level For Life” Warranty Any central air conditioning unit we install will remain level for the life of the unit for the original owner or we will re-level the unit at no additional charge. Exclusive “No Lemon” Guarantee We recognize that not every manufactured piece of heating or air conditioning equipment is 100% perfect all of the time. Since our customers should expect to receive 100% of the heating and air conditioning value they’ve invested in, we offer an exclusive “No Lemon” guarantee. Simply stated, if the compressor in your air conditioner should fail during the first five years of ownership or the heat exchanger in your furnace should crack during the first five years of ownership, we’ll install a completely new compressor or heat exchanger. Customer Service Guarantee Our customers will be treated with respect and courtesy at all times. The technician will respect the privacy of the customer and ask permission before entering any rooms. 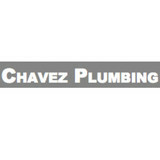 Chavez Plumbing provides professional plumbing services for residential and commercial customers. We offer 24 hour emergency service. Call us today for all of your plumbing repair needs. Epic Services, Inc. is a 21-year-old plumbing service company. We service Southwest Houston, Pearland, Friendswood, Alvin, Sugar Land, Missouri City, Clear Lake, Webster, League City, Brookside, Manvel, Bellaire, and West University. We are a local, woman-owned and family-operated service company with a team of service technicians committed to your satisfaction. Our goal is to provide the highest quality professional services with excellent workmanship and attention to detail. We strive to exceed the expectations of each and every customer. Three reasons to use our services consist of: 1. Professionalism Clean, Neat, and Courteous Service Our trained technicians are always well groomed, polite and most importantly, concerned with your needs. Epic Services, Inc. wants you to feel comfortable and encourages you to ask questions. 2. Honest Pricing We offer firm, fair, and honest pricing. 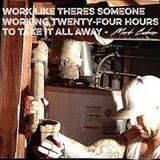 We don't charge by the hour, we charge by the job so you know the rate before we begin the work. We guarantee our material, products, and labor with the longest warranties available. 3. Fully Insured Don't fall into the trap of hiring a company that is able to offer a cheaper price because they operate without a license, don't obtain the required permits, or carry adequate insurance. Epic Services, Inc. is a licensed contractor and pulls all municipal and state permits as required. Epic Services, Inc. is insured for Workers Compensation and for liability insurance. You will also have the peace of mind knowing that we comply with all codes, licenses and laws. We proudly support the local community and are active in the Chamber of Commerce, Rotary, Pearland Youth Soccer Association, Pearland and Friendswood Networking Clubs, and the Gulf Coast PHCC chapter. We respect and value the opinions and concerns of each and every customer and continually strive to earn your loyalty and trust in your home or your workplace. We want to be the one you call for your plumbing needs. JD Earl Waterworks, LLC specializes in residential new construction plumbing but we also do light commercial and provide service work to residential home owners. I am the owner and a second generation master plumber with more than 20 years experience in the plumbing industry. We have knowledge and experience in installing and maintaining a wide variety of plumbing materials including PVC, CPVC, and Pex piping, both tank-less and traditional water heaters, and water softeners. We pride ourselves on customer satisfaction and we would love the opportunity to show you what we can do for you. Kintex Plumbing, LLC is a privately held, family owned plumbing company. We have over 10 years of experience in the plumbing industry throughout the state of Texas. The company has created a reputation of being a, “high quality and on time” contractor while maintaining its competitiveness in our low-bid environment. Our company offers plumbing services to residential and small commercial properties. Doug Turner Plumbing CO. is a family-owned and operated full service plumbing company with over 30 years of plumbing experience. We offer complete residential and commercial plumbing service and repair, as well as remodeling and new construction work. Our dedicated team of licensed professionals are capable of servicing all your plumbing needs, large or small. Serving the Sugar Land, Missouri City, Stafford, Fort Bend County and Southwest Houston area since 1987, we are the ones to call when you need help with water heater repairs and replacements, stoppages and drain cleaning, faucets, commodes, disposals, or any other plumbing related issue. At Big John's Plumbing, we believe in providing quality service at affordable prices. We offer both commercial and residential services 24 hours a day, seven days a week. We cover every aspect of the plumbing industry from small jobs to large jobs. 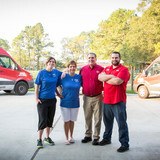 Every one of our customers is a part of our family. If you want to be treated fairly and save money or just ask us a plumbing question, call us today! Welcome to Missouri City Plumbers handymen Missouri city At The Missouri City Plumbers, we have faith in conveying expeditious, proficient, top-quality pipes repair and make progress toward 100% consumer loyalty 100% of the time. Whether you're in need of home plumbing maintenance and repairs, bathroom remodeling, or a commercial plumbing contractor for your latest building project, we are there to provide you with the most dependable service available. A plumbing contractor handles the installation and repair of water, sewage and natural gas pipes throughout a home, as well as interior and exterior faucets and fixtures. Plumbing contractors are also trained to work with water mains, septic tanks, laundry appliances, water heaters, sump pumps and other plumbing and pipe systems. Because plumbing repair work is done largely behind walls and beneath floors, some plumbing companies can also patch or replace tile, stonework and other surfaces. Although some Sugar Land plumbers are generalists, others specialize in specific areas; a 24 hour emergency plumber will handle urgent residential repairs, while others may be more skilled in remodeling, natural gas lines, overhead sprinkler systems and more. Find a local Sugar Land plumber on Houzz. Narrow your search in the Professionals section of the website to plumbing contractors in Sugar Land, TX. You may also look through photos of Sugar Land, TX projects to find a licensed plumber who has worked on a project similar to yours. Here are some related professionals and vendors to complement the work of plumbers: General Contractors, Septic Tanks & Systems, Kitchen & Bath Designers, Kitchen & Bath Remodelers.